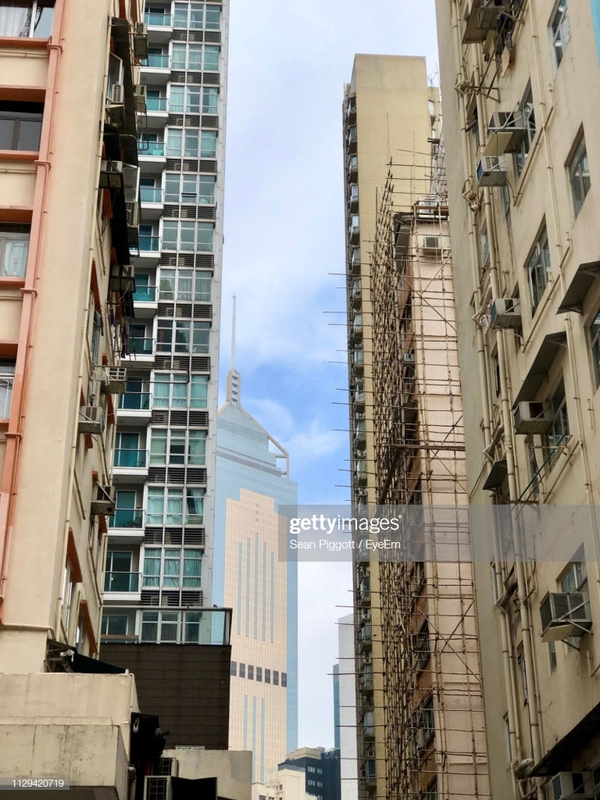 A glimpse of modern Hong Kong office building in between more traditional residential buildings. Taken on our Sunday morning stroll around Wan Chai in December 2018. Now available on Getty Images, click image to view.